Well, Christmas is upon us again and I know you are just dying to put something special under the tree for your favorite kayak angler. 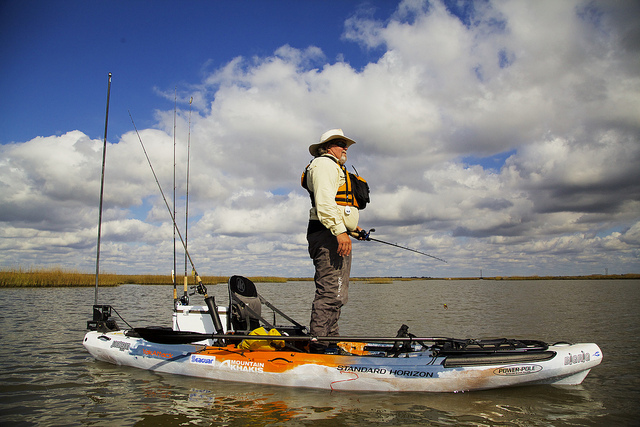 It is time for our annual kayak fisherman’s Christmas list. Some of the items remain the same as last year, just too good to delete and we have added some new ones. When my wife looks in my garage and sees all of my kayaking and fishing gear she thinks I have everything I need and couldn’t possibly need one more thing. Well, of course there is always that one thing that I would love to add to my gear pile. I thought I would share a few ideas I have on the subject. Some are items I use that your kayak angler may be interested in, and some are things I would love to see wrapped up at my house this year. Let’s start out big. How about a kayak upgrade? This Christmas just happens to line up with the arrival of the addition to the Jim Sammons signature line of kayaks from Jackson Kayak, The Kraken, at your local kayak dealer. If your kayak angler was interested in the original Kraken but felt it was a bit too big I am sure they will love this one. The Kraken on the water and ready to hunt. Of course, to push that kayak around you are going to need a paddle. I will tell you flat-out there is none better than those made by Werner. Take a look at the new Hooked series of paddles from Werner to find an amazing paddle. Take a look at the Werner Kaliste if you want the best of the best. All of Werners paddles are available in four piece which makes them so much easier to travel with. If you don’t want to push your kayak around with a paddle or just want some extra push for the real long distance days, take a look at a Torqeedo motor. I have used one of these this year on some of my long range offshore trips and it is an incredible setup. Light and powerful and if you take it slow it will run all day and cover many miles. 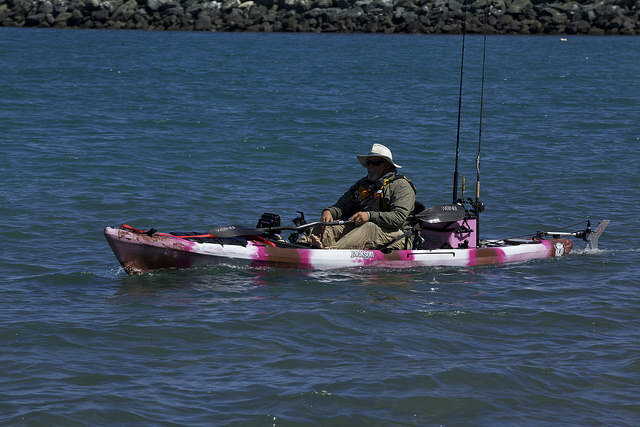 Well we talked about pushing your kayak how about stopping your kayak and holding it in place in the shallow water. Nothing and I mean nothing works better for this than a PowerPole micro anchor. I used this item during several of our shoots this year, and I am telling you if I lived in a place with a shallow water fishery I would have one of these on all my kayaks. I have been called the PFD Nazi because I push so hard to get guys to wear them on every outing. Of course it is a lot easier to get guys to wear them if they are comfortable, and that is the reason I personally use the SeaO2 by Kokatat. I started wearing this PFD a couple years ago and it is, hands down, the most comfortable I have ever worn. Kokatat also makes some great paddling jackets and dry pants that I am sure any kayaker would love. 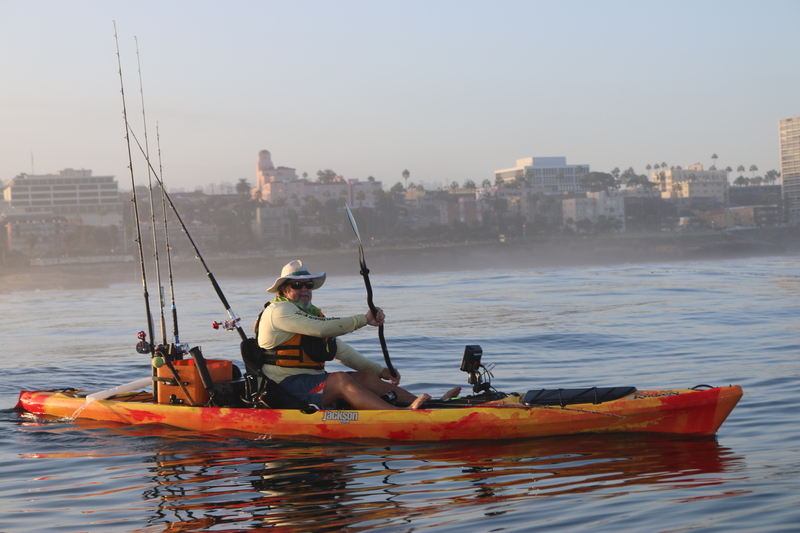 I think all fishermen are gear heads and love to have all the right tools, that is why we are seeing more impressive electronics mounted on kayaks all the time. One of the best units that I have ever used, that has amazing clarity and is super user friendly, is the Dragonfly by Raymarine. Now available in several sizes and different price points. Of course you are going to need to power these electronics and this year I started using the water proof batteries from Nocqua. Light weight, powerful and great quality, well worth checking them out. New Raymarine Dragonfly 7″ set up on one of our trips . Something that the kayak angler in your life will always appreciate and be in need of is new fishing tools. We are always losing or just flat-out wearing them out. A tool that I have really come to appreciate on my kayak are my Splizzors from Buck. This combination, as the name implies, of scissors and pliers is my go-to tool when it comes to cutting braided line. Of course I really don’t want to lose them or having them rusting so I keep them in a Holdzit sheath and attach a gear retractor. Likely one of my favorite tools that I use every time I go fishing is my SprayBox . Mounted in the back of my truck, I am able to wash down my fishing gear, kayaks and trailer as soon as I get out of the water. I know this item has saved me thousands of dollars in damage to my fishing gear and vehicle. They make units that mount in your truck bed or that are portable and are really worth the investment. 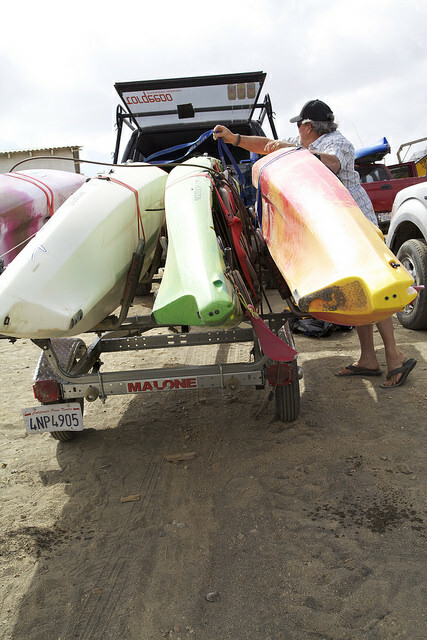 You have to get your kayak to the water and if like me you are tired of lifting your kayak onto a roof rack, consider looking into a Malone trailer. I have been using one for years and it has been a back saver. Of course no fisherman will ever turn down a nice new shiny fishing reel, and if they like to fish for bigger fish, I know they would love reels from Truth reels, made in the USA. With a lifetime warranty these reels will make any angler happy for a long time. Since we started using them they have introduced several new sizes so they have a reel for all your offshore needs. Of course if you have a reel you need a rod, and the finest rods I have ever had the chance to use are those by Century Rods. Light, Powerful and built tough. 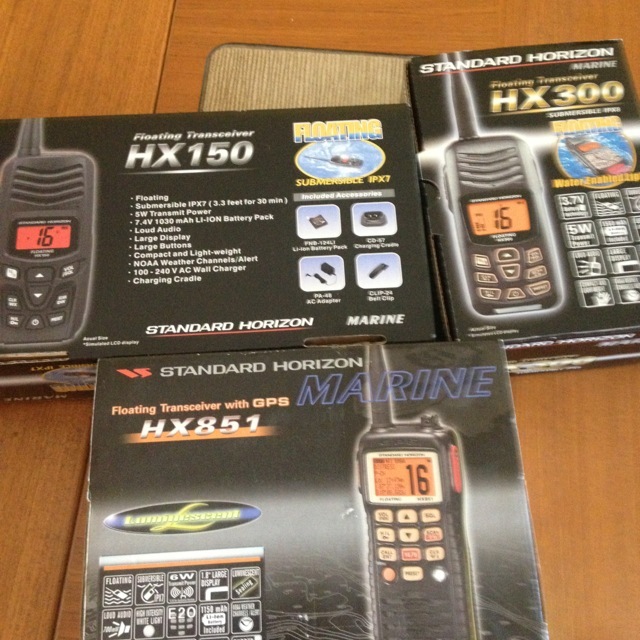 I know you want your kayak angler to be safe while out on the water so other great items that they may not buy for themselves are things like a Standard Horizon VHF radio, a Delorme inReach GPS Satellite Communicator or even an emergency medical kit and bilge pump. We had a ton of shark activity this year in my local waters and the Shark Shield Freedom 7, an electronic shark deterrent, is sure nice to have. It will give you peace of mind and help you keep your fish. There isn’t an angler around that doesn’t appreciate a pair of good polarized sunglasses and if you want the best take a look at Maui Jim. I have been wearing these glasses for many years and can’t see myself wearing anything else. They have their own lab so if you are like me and need prescription lenses they can take care of you. If you are just looking for some smaller items to use as stocking stuffers, how about some spools of Seaguar Fluorocarbon line, packs of Mustad hooks, or a new Buff? The gift of kayak rigging from YakAttack and RAM Mounts will never be frowned upon. I pretty much live in flip flops and I have never found any that were more comfortable than those from Olukai. They really are the first flip flops that I have felt comfortable standing in all day at a trade show. Of course on chilly mornings, they also make some amazingly warm and comfy slippers. I do a lot of early morning and evening fishing and some lighting is always welcome. A visi carbon pole from Yakattack along with a new head light from Princeton Tec are great tools not only to help you see but to help you be seen. Has your kayak fishing friend gone through more than one cell phone while on the water? If so, I am sure a LifeProof case and life jacket would be very well received. How about a gift that will keep giving all year long, like a subscription to Kayak Fish or Kayak Angler magazines? Another great gift for your kayak angler is to send them on an adventure. 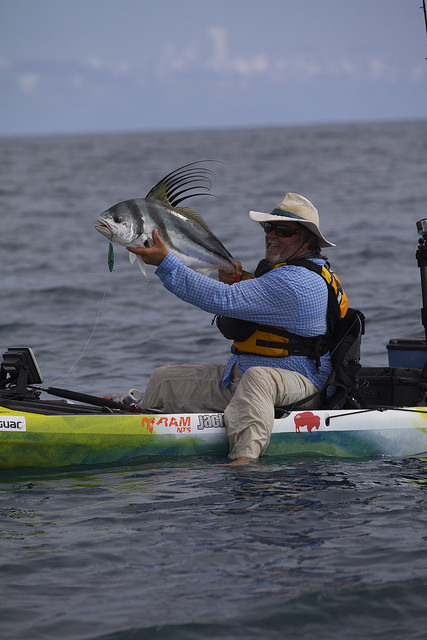 There are kayak fishing guides all over the world and there is likely a trip that your kayak angler would love to go on. 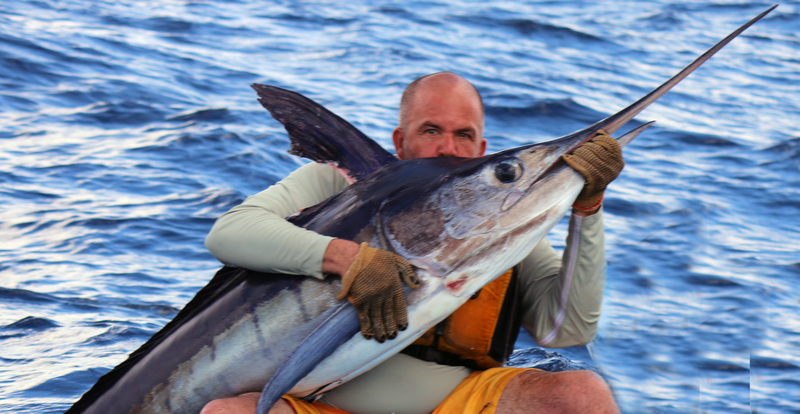 I offer trips in San Diego as well as multiday trips to Baja, pick one of my trips or a trip with a guide anywhere in the world and I am sure you will make your special angler very happy. 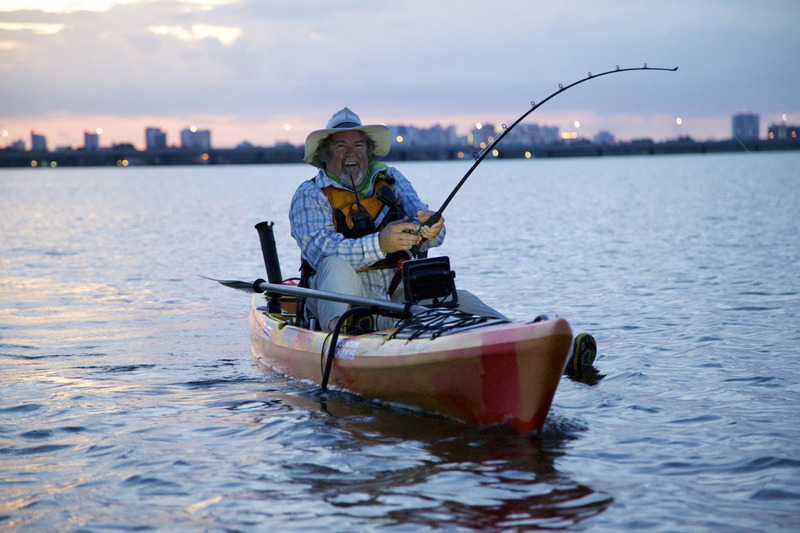 Join a guided kayak fishing adventure and you may end up like this happy guy. For kayak fishing deals online keep an eye on HOOK 1 Kayak Fishing Gear, or stop in at one of their 3 stores if you are in the area, they’re one one of the biggest online retailers for kayak fishing and live and breathe the kayak fishing lifestyle. If you are keeping fish you want to keep it nice and fresh and to do that you will want a good cooler. Engel is making some of the best out there and have them in every size you need. For your Holiday celebrations bring your friends some Ballast Point Brewing and Spirits you will definitely put a smile on their face. If I am on your shopping list, feel free to drop off a few Grapefruit Sculpin, I will be happy to share with you. I have been wearing the same style/brand of hat for years and people are always asking me where I got it. Well they are hand made one at a time in Hawaii and they are top quality. Take a look at the Ocean Designs web site and maybe order one for yourself or your kayaking friends. My hat protects me from sun and rain. KAYAK ANGLERS CHRISTMAS LIST 2015 This article is the text of an informative KAYAK ANGLERS CHRISTMAS LIST can be easily found. Many of these stories will be helpful for those who want to get very easy CHRISTMAS LIST. thanks for sharing helpful article. How about a kayak upgrade?Asked about it, you can fly this article. It is no longer just an informative text. This is a fantastic post.This article has highlighted so well about kayak CHRISTMAS 2015 at the fringe of the well.Thanks for expressing post.